Current information systems demand high quality software products that guarantee a safety and a reliable use for our day-to-day life. A common understanding between software organizations and practitioners is that software product quality largely depends on the software process quality. A Software Process Improvement (SPI) initiative consists of a set of practices and activities that are designed to improve software organizations processes through the evaluation of their current practices and the way software products and services are developed. However, the big amount of information that is generated from the software organization practices has complicated the knowledge extraction, and therefore, the SPI initiatives. A possible technique to make a good knowledge management is data analysis. 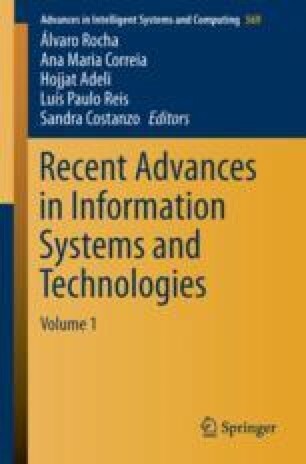 This paper presents the results of a systematic literature review to establish the state-of-the-art of data analysis for software process improvement. The findings also encourage to the creation of a BigData-based data analysis model in a future work for this research. [PS-04] Leida, M., Majeed, B., Colombo, M., & Chu, A. (2013). LNBIP 162 - A Lightweight RDF Data Model for Business Process Analysis. [PS-05] Shibata, T., & Kurachi, Y. (2015). Big Data Analysis Solutions for Driving Innovation in On-site Decision Making, 51(2), 33–41. [PS-12] Begoli, E. (2012). A Short Survey on the State of the Art in Architectures and Platforms for Large Scale Data Analysis and Knowledge Discovery from Data. [PS-17] Grabova, O., Darmont, J., Chauchat, J.-H., & Zolotaryova, I. (2010). Business Intelligence for Small and Middle-Sized Entreprises. [PS-18] Menzies, T., Kocaguneli, E., Peters, F., Turhan, B., & Minku, L. L. (2013). Data Science for Software Engineering. [PS-19] Bertini, E., & Lalanne, D. (2010). Investigating and Reflecting on the Integration of Automatic Data Analysis and Visualization in Knowledge Discovery. [PS-20] Houston, D. X., & Buettner, D. J. (2013). Modeling User Story Completion of an Agile Software Process. [PS-21] Mazón, J.-N., Zubcoff, J. J., Garrigós, I., Espinosa, R., & Rodríguez, R. (2012). Open Business Intelligence: on the importance of data quality awareness in user-friendly data mining. [PS-24] Zhang, D., Dang, Y., Lou, J.-G., Han, S., Zhang, H., & Xie, T. (2011). Software Analytics as a Learning Case in Practice: Approaches and Experiences. [PS-25] Marcus, A., & Menzies, T. (2010). Software is Data Too.